We hear the word “inflammation” almost daily and it seems to be at the root of either the cause or exacerbation of most diseases. 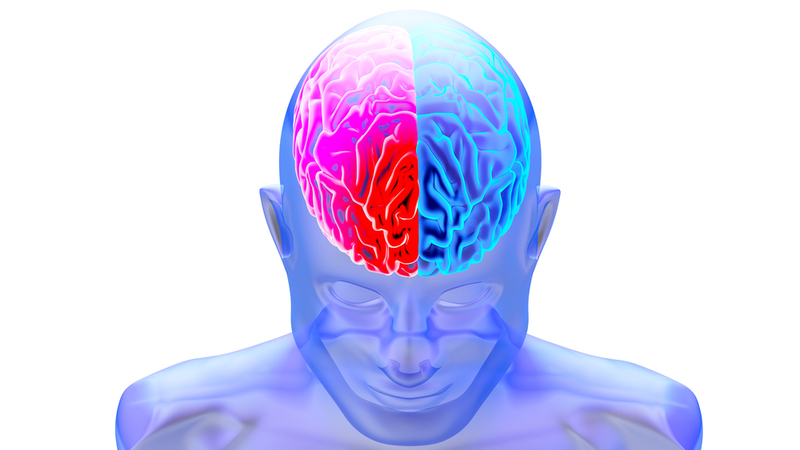 Epilepsy is a neurological disorder in which inflammation is a known contributor. What’s also known is that an elevation of ketones or induction of nutritional ketosis can alleviate the effects of epilepsy and other central nervous system (CNS) diseases, such as Parkinson’s Disease and Alzheimer’s Disease. In our recent paper, published just last month, we tested the effects of exogenous ketones on spontaneous absence epileptic activity. To study this, we used lipopolysaccharide (LPS; a cell wall component of gram-negative bacteria) to induce an inflammatory response which was previously shown to evoke absence epileptic activity in our rat model (Wag/Rij rats). We measured the epileptic activity by recording spike-wave discharge (SWD) number which is often considered to be the EEG correlate of absence seizures in the genetic animal models. Simply, when these rats are injected with LPS this causes an increase is SWD number, indicative of seizure activity and making this an effective model of epilepsy. The inflammatory response from LPS is due to the release of proinflammatory cytokines, such as IL-1B, COX-2, and prostaglandins. The effects of LPS are thought to enhance the brain’s excitability through changes in the GABAergic, glutamatergic, and adenosinergic systems, all of which influence epileptic activity. In order to manipulate the conditions we used indomethacin, a potent inhibitor of prostaglandin synthesis (an NSAID), which abolishes the LPS-induced seizure activity. Exogenous ketones have also previously been shown to decrease absence epileptic activity in animal models. Ketone supplements cause an elevation in plasma beta-hydroxybutyrate (BHB) levels that have the potential to lower brain excitability and modulate the inflammatory processes that are evidently implicated in the pathophysiology of absence seizures. In our experiment, exogenous ketones were administered in the animal’s food (10% ketone ester + 10% ketone salt by weight; KEKS) and animals were maintained on this diet for 10 days ad libitum; effectively inducing ketosis as measured by plasma BHB levels. In addition to exogenous ketones, we tested indomethacin as a standalone treatment, as well as combined with the ketone supplement treatment. SWD numbers were measured daily and on day 9* of KEKS treatment, LPS (or LPS + indomethacin) was administered to test the effects of these treatments on LPS-induced seizure activity. *Day 9 was chosen based on when the KEKS group treatment alone showed a significant change in SWD number. The results show that the LPS-induced inflammation is in fact playing a role in the manifestation of epileptic seizure activity in our animal model. We also showed that the ketone supplemented food significantly decreased the LPS-induced increase in SWD number. In other words, the ketones suppressed the seizure activity that would have otherwise been induced by LPS had the ketones not been present. Additionally, indomethacin enhanced the effect of the exogenous ketone treatment. These results suggest that the ketone supplemented food caused an elevation of BHB that suppresses the inflammatory processes induced by LPS in this animal model. This further suggests the use of ketones to reduce seizure activity, and that strategies that reduce inflammation and lower brain excitability have major implications in the treatment of epilepsy. These results are likely a combination of factors working together to reduce seizure activity. We say this because the ketone bodies, BHB and acetoacetate, has been shown to elicit a wide range of beneficial neurological effects. Decreased hyperexcitability in the brain is in part due to the opening of potassium ion channels, which allows potassium ions to leave the cell. This creates hyperpolarized neuronal membranes thereby reducing the repetitive neuronal firing associated with epilepsy. Inflammation is targeted by BHB on multiple levels. In this particular study, the ketones effectively reduced the LPS-evoked inflammatory response, mitigating downstream inflammation-induced seizure activity. Because inflammation is such an imperative part of many diseases, the anti-inflammatory effect of ketones is of great interest, especially in regards to preventing sustained chronic inflammation. In terms of epilepsy, the reduction in neuronal excitability in combination with the anti-inflammatory effects are likely interrelated to reduce seizure activity, such as that shown in this study. Ketone supplementation and ketogenic diets are safe, well-tolerated, and efficient strategies to induce ketosis. Consequently, our results show that elevated plasma BHB levels can alleviate aberrant processes in the CNS that are promoted by inflammation. The results from this study, as well as past studies are very encouraging for the use of ketone supplementation as a therapeutic tool in the treatment of epilepsy. What’s more is that likely they can be applied to other inflammation-driven neurodegenerative diseases. More research is needed in this area, but we believe ketones have the potential to be a broad spectrum metabolic therapy, in part through their recently established drug-like anti-inflammatory properties!